Previous PostWindows Runtime flaws spoil new Windows Store (Metro) appsNext PostHP goes Android: what does that say about Windows 8? 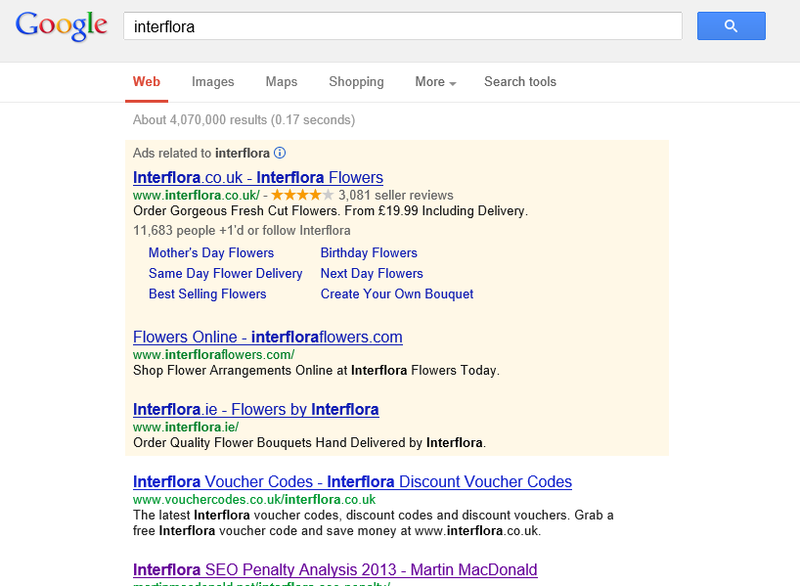 Reading the report Interflora did try to game its search results with bought links, and it’s find for Google to remove those from its ranking calculation. However, suppressing the company’s own website when searched by its own name is a violation of the users’ trust and an abuse of monopoly power. Google needs to stop those childish and dangerous “punishments” and limit itself to simply ignoring links it considers worthless. And since I can’t pass up on an opportunity for DuckDuckGo propaganda: the DuckDuckGo search always shows the official site and other (more or less) authoritative information at the top! The regulatory approach that would be most in the free market spirit is to require disclosure of the above concepts, not the detail mechanics, on every Google page in bright lights on the right hand side. Make Google disclose that it put’s advertising first, and make Google disclose that it uses it’s own discretion to change who is ranked higher, and that they may even pull the official site off the search results. Don’t regulate their behavior. Just require disclosure, and let the consumers decide. Google is a Monopoly. They have done wonders for the internet, but they are now violating their position. Google took influence from the offline world and applied it to the online world, but now they are twisting everything to benefit their paid search. 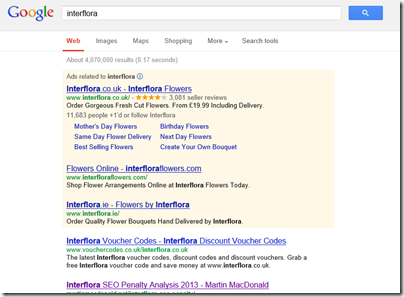 It will be interesting to see how a big company like Interflora bounces in SERPS after a few chats with Google, after all they do spend a lot in PPC and are a valued client of Google. A lesser sized company stands no chance. I for one, look forward to embracing a new competitor to the search engine market.